Our teams in Haiti and Honduras work tirelessly to bring clean water, hygiene education and safe sanitation solutions to rural and underserved families. They are in need of some tools to support their work. Please help us grant wishes! To make a financial contribution for a “wish list” item, simply click on the associated donate button and contribute the requested funds. If you are unable to fund the “wish list” item in its entirety, please feel free to contribute a portion thereof. If you have new or gently used items you would like to donate, please contact us at 802.747.0778 or email us ([email protected]), and we will help you arrange to get your donated items to our in-country teams. Trucks are a tool our staff simply cannot do without! Trucks take us to the communities where we work, carrying all of the necessary equipment to make water safe to drink. And nothing is harder on a truck than the rugged terrain and mud-slick roads of Honduras and Haiti. Our wish: We really need two trucks in both Haiti and Honduras, but it would be amazing to start with one in each country. Cost approximately $30,000 each. 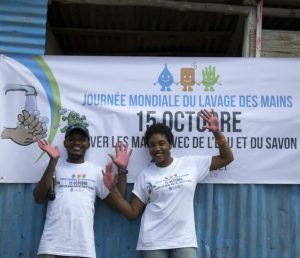 Our teams monitor every job completed to ensure families are correctly, consistently and continuously using their safe water and sanitation tools and practices. Mobile tablets would give our monitoring teams the tool they need to efficiently and effectively collect and analyze data. 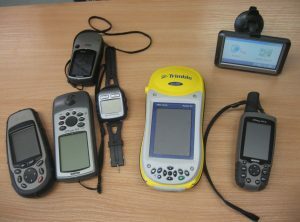 *Donated new or gently used tablets need to have strong GPS capability. Our wish: The truth is we need 5 tablets total, 2 for Haiti and 3 for Honduras. Our wish is to start with 3 to get us rolling. Cost $200-$250 each. Our teams work in very rural and remote areas. Houses often have no correlated street name or address and are spread far apart. 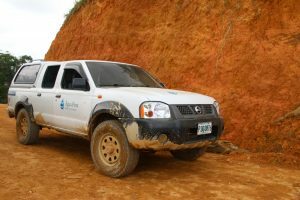 Teams trek and/or drive up and over hills and small mountains, on muddy roads and paths. By using a handheld GPS, our field teams can mark the household on the GPS device, transfer it to a database, and use it to help them to quickly identify families and homes for future use. Our wish: SPECIFIC DETAILS OF NEEDS COMING SOON. Your un-used miles can change lives. 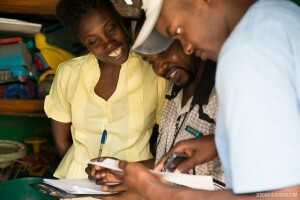 Donate your airline miles so our teams in Haiti and Honduras can come together for a weeklong Learning Exchange. This is the opportunity for teams to learn from one another, gaining invaluable knowledge that will make an even greater impact in the field. 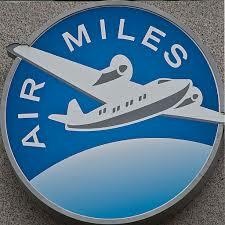 Our wish: We always need miles. Values vary based on airline carrier. While you will need to arrange your donated air miles directly with the airline carrier, we are more than happy to help with the details. Call (802.747.0778) or email us ([email protected]) today. Our work relies on successfully procuring grants. Having a grant management software program will increase our efficiency and success in securing these powerful grant funds. Our wish: Our grant team has specifically requested the program GRANTHUB. The fee for this is $795/year. By providing an item(s) on our Wish List, either by way of direct funding or as an in-kind donation, you help Pure Water for the World optimize our funds to support our program goals, our mission and our vision. By helping PWW in this way, you will directly support improving the health and livelihood of children and families in need. Financial donations are deductible under the 501c(c)(3) provision of the United States IRS code. Please note: In-kind gifts are materials and/or services provided to PWW free of charge. Unfortunately, we are not able to offer a financial value receipt for an in-kind donation. However, the fair market value of the donated item(s) is tax-deductible. Federal tax laws impose certain reporting obligations for charitable contributions of property other than cash. IRS Form 8283 can assist you with your reporting obligations.